With access to a range of schemes and services available from our Careers department, Julian took part in a range of 'Insight into Industry: Snapshot' activities. I secured a place on the Snapshot Scheme which gave insight into industries I wanted to be involved with. I attended presentations on building social media branding by LinkedIn and IBM and I also attended workshops on commercial awareness. I applied the skills I learnt from the scheme to gain access to firms like PwC and Bloomberg, and then secure an internship with EY. The scheme works closely in developing you holistically. The team not only set up insight opportunities based on your career preferences, but they also refine and build a solid foundation for your skills, done through their workshops and case studies, which work together with the various on and off campus insights. Whilst choosing where to study, Julian wanted a university located in London that met his requirements for Accounting & Finance exemptions. I wanted a university located in London that offers maximum exemptions for my professional qualifications after graduation. Cass Business School fits both criteria - located a stone’s throw away from the financial district of London, offering eight exemptions from the ICAEW's Chartered Accountant qualification. One of the most enjoyable aspects of the course is the dedicated academic and professional staff in adding value to what I learn in class; it’s not just covering what is stated in the curriculum, although the breadth and relevance of the modules can also be applied to the real world. I also enjoy being a part of a diverse student population with course mates who are always willing to share their different experiences and ideas. 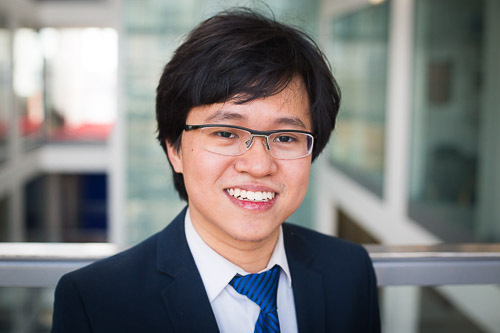 Julian was able to experience Cass community opportunities to suit his interests by joining the Malaysian Society and attending the International Student Reception and the Boat Ball. My best memory of Cass is how welcome I felt and appreciated by others which is important for an international student. I’ve made friends with people from all over the world and we’ve enjoyed social activities like go-karting and ice-skating. These experiences embody the feeling of being welcomed and appreciated by the Cass community irrespective of where one may come from.